I'm using this page to try and connect the links to particpant blogs and those writing their own reviews for the challenge. This page will be placed under the upper left tab (Eastern European Challenge) on the home page, so that if you are looking for reviews or links, check there. This is a work-in-progress, hopefully by next week it'll be a place where you can come and put your link right in the comment box to this post. So yeah. I've (accidentally) been fairly busy for this challenge already. Also, I don't think I mentioned it, but I'm in Australia. 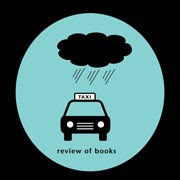 http://www.goodreads.com/review/show/59127587 is a link to Chrissie's Good Reads review of the book House by the Dvina: A Russian Scottish Childhood by Eugenie Fraser. I absolutely loved this book, but it does not count for the challenge since I read it in 2009! Great book! I strongly recommend it! I reviewed The Visible World by Mark Slouka. He is the son of Czech immigrants and the protagonist of the story is also the child of two immigrants. In the story the son returns to Prague to attempt an understanding of his mother's past. OK not a promising start. First book was a DNF (Marek Krajewski's Death in Breslau was a bit too surreal for me). And the one I have finished so far was ... well... wordy Pelagia and the White Bulldog by Boris Akunin. Here is my review of Dracula by Bram Stoker! My first book for the Read East Challenge - Moonlight in Odessa by Janet Skeslien Charles; set in Ukraine. Check it out below. It is for Nightwatch by Sergei Lukyanenko. It is a Russian urban fantasy novel and is awesome! I can't recommend it enough for people who want to try something not originally not in English and gives a little exposure to a different part of the world. It is great for those or shy away from nonfiction or general fiction. Just reviewed my 5th book for the challenge: The Gardener's Year by Karel Čapek (Czech Republic). My review of Laurie Manchester's "Holy Fathers, Secular Sons." My review of Catriona Kelly's "Children's World: Growing up in Russia, 1880-1991"
My review of Timothy Gorton Ash's "The Magic Lantern: The Revolutions of '89 witnessed in Warsaw, Budapest, Berlin and Prague"
My review of Christiane Ruane's "The Emperor's New Clothes: A History of the Russian Fashion Industry, 1700-1917"
My 6th book for the challenge: The Legends of Prague by František Langer. My 7th book for the challenge: Skylark by Dezső Kosztolányi. Thanks so much for hosting, Amy! My plan is to read a couple of translated books by Eastern European authors, but I am also trying to pick from books on my TBR shelves. We'll see how those two goals work together. I'm up to five books for the challenge now!